• Digital DJ Tips: In a crunch? 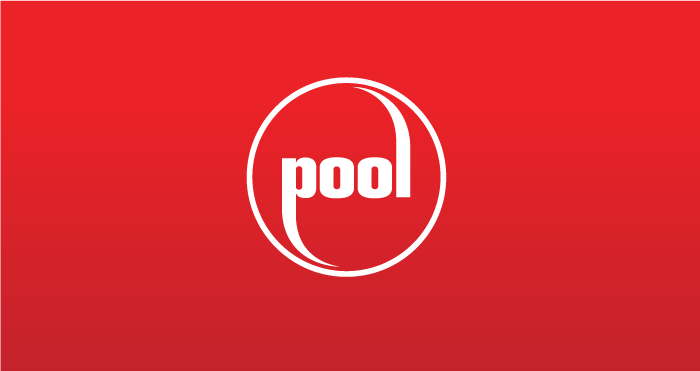 • POOL Tips: Got gigs? Get the right edits. Fact #1: Few if any of your prospective customers are willing or able to catch your show. Fact #2: This requires that you somehow convince potential clients to hire you based upon an artful blend of facts and faith (the sum of all salesmanship). Fact # 3: Facebook’s new music features are about to lay waste to Fact # 1 and Fact # 2. The above quote comes straight from Tamara Hrivnak, Facebook’s head of music business development. We know this because we looked it up, because we didn’t believe it, either. Even harder to believe: Facebook is now prepared to allow videos with copyrighted music in the background, thanks to a slew of deals involving major record labels, publishers, and indies. to extend your business’s reach worldwide. Video release forms are a must if you’re going to broadcast an event video. Most newly minted couples won’t object to a tasteful video that they can share with their friends, too, but it’s always best to get it in writing. Template forms abound on the interwebz. Brand wisely. Image is all-important in those few seconds you have to make a great first impression, so be creative but be smart. Dress for success (this includes your gear), pay for a good haircut and remember that the camera adds 10 pounds. Lighting is as important as sound. If you don't know how to properly light a video, now’s the time to learn. And who better to learn from than the University of YouTube. And sound is EVERYTHING. Make it clean, punchy and proud with iRig, the one mic you don’t leave home without. 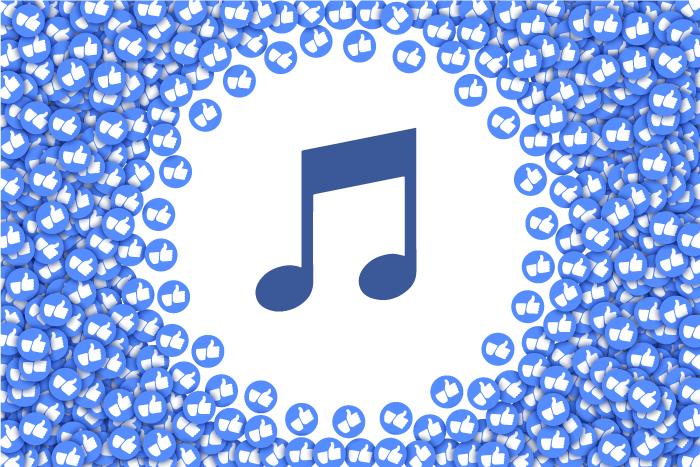 Facebook is currently testing its new music features in several markets prior to a broader release; as of this writing we’re not sure which markets are getting the early push or where or when the next push will occur. One thing is certain: Music-embedded videos are a sure-fire way to increase watch time, engagement and your business’s reach. Be ready to call lights, camera, action. Back with a GEM of a deal! Some 30 years ago, when getting boozed up and singing “Don’t Stop Believing” in a crowded bar was the exclusive domain of Japanese businessmen, two enterprising brothers decided that America needed it some of that. So fierce was their dedication to providing the highest quality sound, singing cues and lyrics in the karaoke universe that Sound Choice, as they dubbed their company, quickly became revered as THE source for premium karaoke tracks. Flash forward to 2010 and while Sound Choice’s reputation for quality remained untarnished, karaoke jockeys no longer seemed to feel the need to pay the fees required for licensed karaoke content. As surging bootlegs chipped away at its revenue, Sound Choice reluctantly lawyered up to stay afloat. 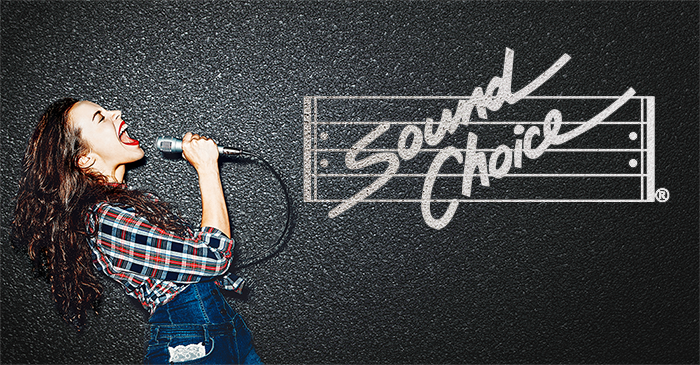 Today, we’re pleased to announce Sound Choice’s return to production by sharing a very special invitation for you to step back up to the mic. Announcing The GEM Series, a set of 6,000+ top-quality karaoke tracks in MP3+G format, ready to use in your professional karaoke-hosting environment. Whether you're just starting out, want to upgrade your library to the best package available, or are adding a new karaoke system to your business, the GEM series is the easiest way to get permanent possession of the best collection of Sound Choice tracks available. Restricted to professional karaoke operators and venues, the GEM series is a limited-production, licensed product aimed at the pro user. Digital DJ Tips: In a crunch? I booked a weekend beach getaway a few weeks back. I had planned on disconnecting from work, so I left my laptop at home and only took along a pair of headphones for casual listening plus my iPad. The last time I was there I had played a festival and had good memories about my stay, so I decided to spend the last weekend of summer there. “Yeah sure, why not?” I love these guys to bits (plus I hate saying no). I had an hour or so to prepare. Despite advances in DJing using smartphones and tablets, it hasn’t really taken off yet because there are a few hurdles that DJs used to spinning have to jump. Here’s how a few simple tweaks on your iPad can give you a lot more flexibility than you might think. This is the most important step because if you do your library management within a piece of specific laptop DJ software (e.g. 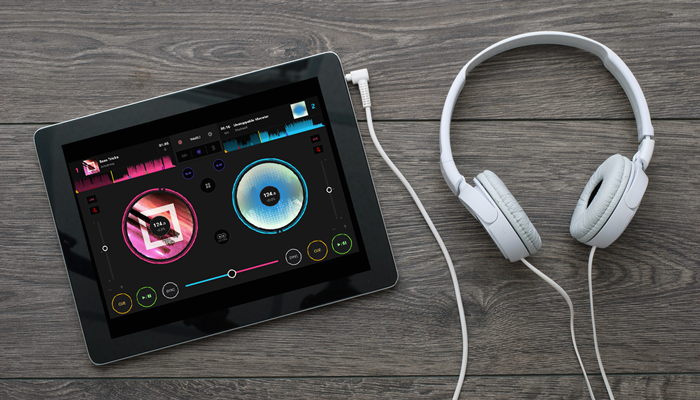 Traktor, Serato DJ, Virtual DJ, Rekordbox) your playlists are essentially tied to that app. Flexibility is key here, and if you want to spin with an iPhone or iPad, iTunes is undoubtedly the easiest way to transfer music from your laptop to your iOS device. The promo video you’ll see below pretty much spells it out: Pioneer’s new DDJ-SX3 is basically taking everything good under the hood of its best-selling DDJ-SX2 controller and adding additional mic inputs (hello mobile market). Three, in fact, of the SX3’s four channels feature balanced mic inputs, each with its own level controls and a full array of effects (you will want to beat-box). Club DJs and those mobile jocks not content to always drop it on the one will enjoy the SX3’s revved up, low latency jog wheels, sound color FX, and the addition of a second onboard USB soundcard, a nifty addition for tag-team and tandem mixing. 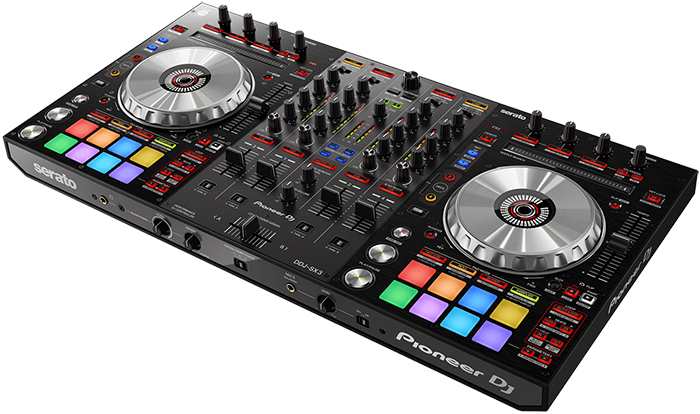 The Pioneer DDJ-SX3 is available for preorder now at your favorite online dealer for $999.00 and forecasted to ship June 28th 2018. So you’ve decided to go full time with your part-time DJ job. Because it’s 2018, you set up your social media accounts first, your website, and then start thinking about a phone number (isn’t it crazy to think that just 5 years ago it was the opposite order?). With that in mind, is a phone number even needed these days? Millennial clients seem to be more about texting anyway and cell phones are more prevalent than ever for small business owners. I would argue yes, you need that number, if for no other reason than it establishes business credibility. #1: I always suggest a service to forward a business line call to your cell phone, so you’re not locked into only answering at the business location. In my case, I don’t have a specific office because we operate in three different regions across the country with their own time zones and business hours. We use a service that allows me to forward the number to any specific number(s) I want. This still gives the illusion of a business line, but I can pick up from a cell phone. If I don’t pick up, it routes to a v/m on the system, so they don’t get my personal cell voicemail greeting. The service also transcribes and e-mails me the message long with an mp3 attachment of the voicemail. I pay for the service (it’s a nominal $10 a month) but you can always use Google Voice (which is free with a few limitations). #2: Think through the type of number you want. Years ago, a toll-free number had immense value. Believe it or not, back in the day, the average consumer had to pay for long distance calling both from landlines and cell phones. Because of that, businesses that targeted out-of-town clientele would get a leg up by acquiring a toll-free number. The fact that I have a toll-free number probably dates me. Here’s the thing though: It’s not worth changing it now. I’m on so many lists and such that to change my number at this juncture would probably cost me a ton of business. If you have a business number out there at all, do your best to avoid changing it too often (if at all). To keep it easy to remember and great for advertising, consider a vanity number. Those are premium phone numbers, so it may cost you a bit more, but it has some serious marketing advantages. The most common number type to get is a one that has a local area code to your specific region you service. This gives clients the sense that you are a local business, which seems to be of more of importance to today’s consumers. Especially with DJs, they want to deal with a business that is nearby and not worry about their DJ having to fly in, etc. #3: Keep distribution of your cell phone number to clients for important reasons only. This can vary per business owner, but I will caution you, once you give it out, there’s no going back. For some, this is a good thing. They feel it makes the relationship more personal. I like to wait to give this out so there’s some boundaries in place between clients, vendors and myself. What’s the upside of not having a business phone number? The only thing I can think of is cost savings, and I get that to an extent. However, at the end of the day, you are in business. 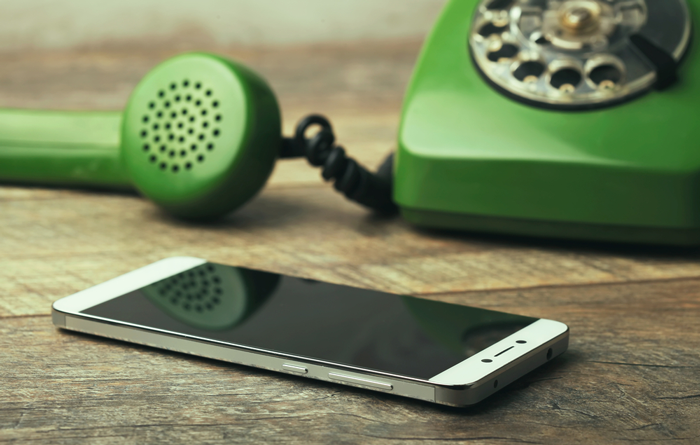 Expenses are a part of the game and if you’re charging enough, you should be able to cover a business phone line. Do you have business line? If so, are you glad you do? What about those of you that that don’t? Send me a note and let me know. POOL Pro Tip: Got gigs? Weddings, bars, clubs, and school dances require different playlists, to be sure. 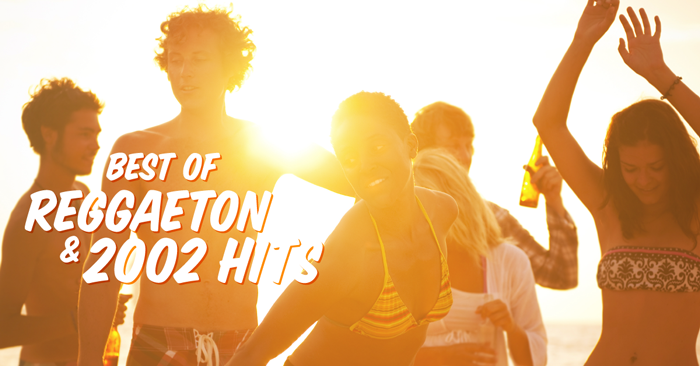 You’ll also want to be sure that each playlist you assemble includes the edits best suited for each event. Radio Edits are the versions deemed safe for broadcast. As such they can include words such as “hell,” “damn,” etc. As radio edits are suitable for any event where there are no young ears present, we do not tag them; a blank tag field is an indicator of a radio edit. Clean Edits are clearly tagged and will not contain the controversial words often found in our Radio Edits. Promo Only Clean Edits take clean to the extreme. Any tracks so tagged are safe for the most polite of play. Even a Clean Edit can have subject matter that might prove too controversial for certain audiences. We tag such tracks with a content warning logo (an “ear" graphic) to remind you to preview said track prior to play! Pro-Tip: The PREFERENCES tab in your POOL download app features a kill switch that will block all explicit content, as well as any number of other genres or edits you might not want to see day-to-day. We suggest using that to avoid any “oops” moments. Lesson by Douglas L. Oliver, animation by Cabong Studios.